Americans plan to spend, on average, $830 on gifts alone this holiday season, according to a recent Gallup report. That’s a whopping 15% and $110 more than they planned to spend last year! And that’s not even including the added costs of holiday cards, decorations, hosting and travel. It’s no wonder another study, done by SunTrust Banks, Inc., found 46% of Americans feel pressured to spend more than they can afford on the holidays. Fortunately, we penny hoarders aren’t average. The better question to ask us isn’t how much we plan to spend this holiday season, but how little. And with the recent trends toward simplicity, minimalism and “buy nothing” detoxes, we found ourselves wondering… Could anyone realistically get away with a zero-cost holiday? Whether your finances are especially tight this year or you simply want out of the consumerism treadmill, having a “no-spend” holiday is possible. We interviewed financial gurus and real-life savvy savers to gather these 17 tips that will help you rock a spendless holiday season while still making spirits bright. Ignoring the buy-buy-buy mania of the holidays isn’t easy. To stick to your guns, ground yourself in why you’re going “no-spend” this year. Maybe you’re on a restricted budget after a job loss, or you’re trying to throw as much money as possible toward paying down debt so you can enjoy more financial freedom. Whenever the holiday spending hoopla gets too noisy, remind yourself of this reason. You may find you need to stay away from certain websites, unsubscribe from certain email newsletters or automatically throw any catalogs you receive into the recycling bin. The best way to head off confusion and potential hard feelings from loved ones is to state your intentions, calmly and firmly, from the get-go. 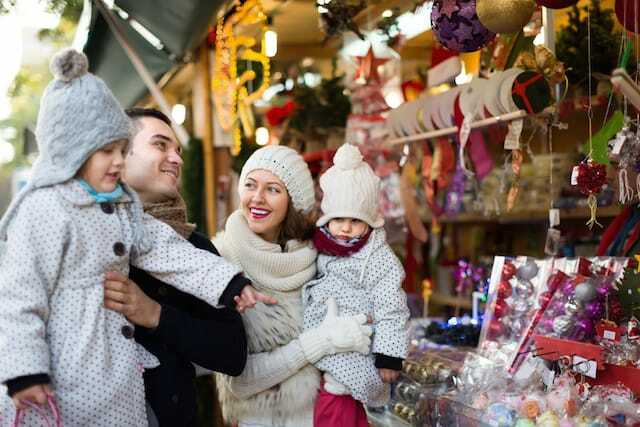 “Talk to family and friends about gift expectations,” advises nationally recognized money-saving and consumer expert Andrea Woroch. There’s nothing better than a gift made with love, and the holidays are the perfect opportunity to put a little thought and time into homemade gifts for the special people in your life. Shoot digital photos that recipients can share online. Shutterfly and Walgreen’s often offer free photo printing promotions, too. Collect flower seeds from standing seed pods, put them in a pretty envelope and include planting directions. Make a family holiday video using a free app like Magisto Movie Maker. Write up some of your favorite, foolproof dinner recipes on recipe cards or in a dollar-store notebook. Make a digital family cookbook with family members’ recipes. Are you a good cook or baker? Tiffany Welka, Vice President of VFG Associates, advises asking friends and family what they enjoy eating. “This way, you could cook or bake whatever is on their list. Someone once said that the way to the heart is through the belly!” she says. Don’t let that classic “label-maker” episode of “Seinfeld” guilt-trip you — Woroch says regifting is a perfectly acceptable practice, so long as you use some basic common sense. Julie Ritten, founder of Ritten Financial, suggests a creative spin by rebranding regifting as a White Elephant party. Swapping is another great way to both clear your home of items you no longer use and find potentially great gifts for your loved ones. “If you have children,” Woroch says, “you probably also have a room or chest full of toys they don’t play with anymore. Clothing and accessory swaps are also popular these days, and you can make a fun event of it with your friends by inviting everyone to bring a drink or plate to share along with their gently used items. If you belong to rewards programs like Swagbucks or Bing Rewards, you can earn points for doing simple activities like answering surveys and running your normal Internet searches. Then you can redeem these points for everything from gift cards to merchandise. Join now, or ramp up your participation if you’re already a member: You might be able to earn enough points to give a seemingly “store-bought” gift or two that costs you nothing but a little of your time. “Whether you’re a talented photographer or can help a friend spruce up their website with your design skills,” Woroch says, “your services are a great gift to give without spending any money. “The best alternative to gift-giving is offering your time to others,” agrees Nate, the blogger behind Hacking Your Budget. “A great way to not spend any money on gifts is find items you have that carry sentimental value and add your own personal touch to them,” says Robert Palmer, host of the radio show Saving Thousands. Having long, conversational meals together, “treasuring silly traditions” and especially “pulling the plug on the tech equipment” for a little while can go a long way toward making you closer as a family. Volunteering can also be a priceless gift that rewards both the recipient and the giver. “You might agree as a family not to exchange gifts this year, so give back to your community instead,” says David Bakke, a writer for Money Crashers. Masini agrees. Instead of buying gifts, she suggests you “spend Christmas volunteering at a cancer ward or a Veteran’s Administration facility where people have so much less and need so much more than you. This is a game changer for your life, and that of your children and loved ones when they join you. What if you don’t go 100% gift-free? “Use recycled newspaper or magazines to cover up your item,” says Nate. If you want to really get creative, you can match the wrap to to the recipient, like using the comics section to wrap a gift for the friend who always makes you laugh. No matter how well you broadcast your intentions, you may still find yourself on the receiving end of those who refuse to take “no gifts” for an answer. When this happens, practice gratitude for others’ thoughtfulness rather than reminding them of your rules. “Some people are natural gift-givers,” says Trevor Ewen, who blogs at the personal finance site Pear of the Week. Remember, just because you won’t be able to reciprocate in kind doesn’t mean you can’t return the generosity in other ways. Switch up your annual get-together by having a potluck. “It will take the pressure off you and allows your guest to showcase their favorite recipe,” says Ritten. Even something as simple as streaming classic holiday movies can make for a fun, no-spend evening. “Holiday decorations are so easy to make for free,” says Natalie Andrews, who learned money-saving home improvement tips working for Helpling home cleaners. “If you have public woodland or trees near you, go out and collect large fallen branches (be sure not to cut any off the trees!) which you can then display in a big vase or even a bucket wrapped in festive paper. “Sending holiday cards can get expensive when they’re marked up for the holidays,” says Nate, “so simply create your own using a Microsoft product or GIMP, which is essentially a free Photoshop-like program. The key to traveling for free is to apply the same skills you use for earning and saving money to the world of points and miles. The easiest way to earn points and miles is through the careful use of reward credit cards. There are many cards that offer 50,000 miles or more, just for signing up and completing a minimum spending requirement. Then, cardholders can earn additional miles by using these cards for their regular purchases. So long as they avoid interest charges by paying off each month’s statement balance in full, there are few costs to this strategy, other than annual fees. But when it comes to holiday travel, you have to be even more careful as this is a time of peak demand when it can be difficult and expensive to redeem miles in frequent flier programs like the ones from Delta, United and American, which severely restrict award availability during the holidays. Instead, holiday travelers should focus on earning points and miles that are worth a fixed value toward flights, such as Southwest Rapid Rewards, Chase Venture Rewards and Discover it miles. Then, it’s important to book holiday flights as early as possible when the fares are still low. Given the rampant consumerism most people associate with the holidays, opting out of the spending game won’t necessarily be easy. But if you believe in it, and you’re willing to give it a go, you may be surprised to find how rich and generous the holidays can be with zero spending. Your Turn: Have you ever done a “no-spend” (or low-spend) holiday — or are you trying to this year? Share your stories and tips with us in the comments!